What a gorgeous splash of colour to brighten up a winter's day. 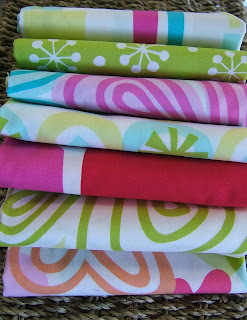 Two Young Street is the fabulous fabric by Prints Charming. 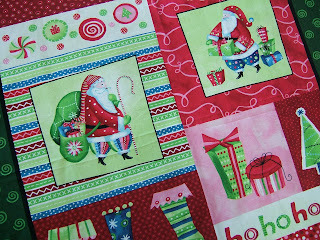 The first of the Christmas fabrics are also arriving. 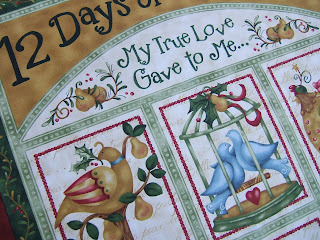 This is a peak at Nancy Halvorsen's one - beautiful traditional colours and this would be such fun to embellish and quilt. This is a totally different version - bright and slightly zany. And still on the subject of Christmas (I know its a little early, but these are too cute not to show you!) 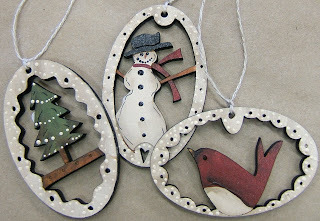 - I love these gorgeous new decorations of Barbs - check them out on her website - http://www.theodoracleave.com/. We have a ''strippers club'' tomorrow night - this is a snippet of part of the jelly roll quilt pattern that the girls will be stitching - I can't show you any more yet because the pattern is a secret! I will post some pics of their quilts after the class - they will all have different fabrics so it will be fun to see the same pattern but in different colours. 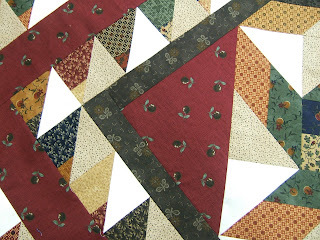 Back later to show you pictures of the quilts.